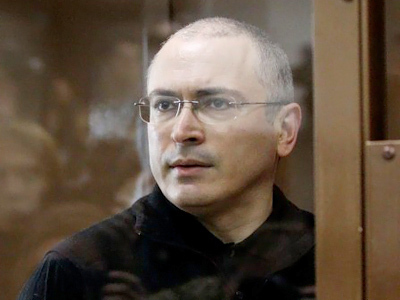 Former Yukos head Mikhail Khodorkovsky has filed a request for early parole. However, he has no intention of asking for mercy and admitting his guilt. 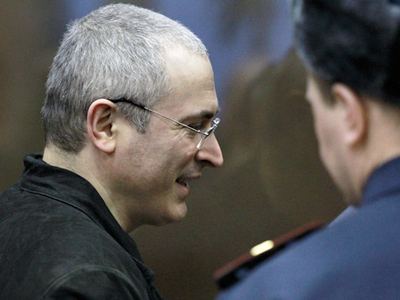 Khodorkovsky has already served more than seven years, or over half of the 13 years he was sentenced to. “I do not admit my guilt, because I continue to appeal my conviction,” Interfax quoted the businessman as saying. Khodorkovsky’s former business partner Platon Lebedev has also applied for parole. Vadim Klyuvgant, a lawyer for Khodorkovsky, explained to RAPSI news agency on Monday that, under the law, his client has the right to ask for early release without admitting his guilt. “There are multiple grounds for filing a motion. There is only one requirement for this – whether a person has served half of his sentence,” Klyuvgant said. However, he did not reveal when exactly they are going to do so. Last Sunday, The Russian channel NTV featured a program about Mikhail Khodorkovsky in which the host quoted the former Yukos head’s replies to a series of questions previously submitted by journalists. “I will definitely try to exercise my right to early release on parol,” read one of the answers. Mikhail Khodorkovsky and his former business partner Platon Lebedev are currently incarcerated in Moscow’s Matrosskaya Tishina jail. In December of last year, while on trial for a new series of charges, The Khamovnichesky court in Moscow found them guilty of embezzling the profits from 200 million tonnes of oil and money-laundering, sentencing them to 13.5 years in prison. The verdict implied that the eight years they received under the first case would be subtracted from the total, meaning they would be released in 2017. 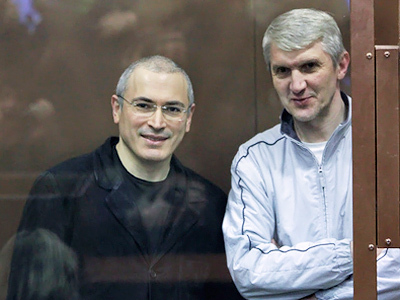 The lawyers of Mikhail Khodorkovsky and Platon Lebedev appealed the court ruling days after it was announced. On May 24, the Moscow City Court ruled that the former Yukos co-owners had stolen the profits from 128 million tons less oil than they were initially accused of. As a result, their prison terms were reduced by one year, thus moving the date of their release to 2016. Earlier, the team of lawyers also announced that they had sent a request to the Investigative Committee to start a criminal case against Judge Viktor Danilkin, who passed the sentence in the second case, and several other officials who they believe were linked to the “unlawful sentence”. 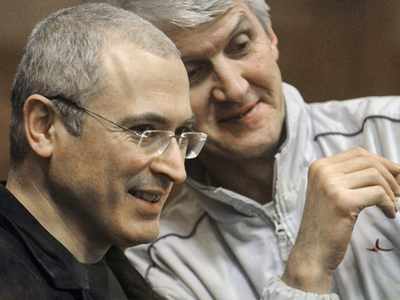 Last month, the Russian Council for the Development of Civil Society and Human Rights launched an independent examination into the second criminal case against the former Yukos CEO and his partner. According to the chairman of the board of the Russian think-tank the Institute of Modern Development (INSOR), its results could be submitted to the president in a bid to be amnestied or pardoned.